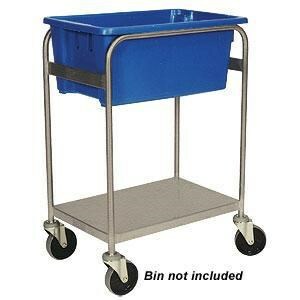 Binmate Order Picking Trolley is designed for warehouse, factory or office use where you need to frequently move bins or files. 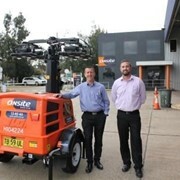 Options include offset, two tier, twin bin and buggy models. 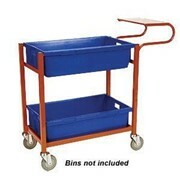 Single Tier Order Picking Trolley - One Tub with open large lower deck shelf (605 x 397). 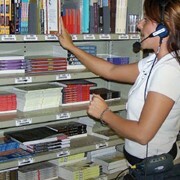 Options Include Standard, Handle, Console or Writing Top. 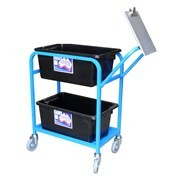 Two Tier Order Picking Trolley - Tubs can access both levels levels of the trolley. 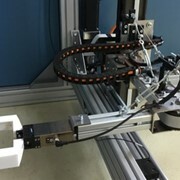 Options Include Standard, Handle, Console or Writing Top. 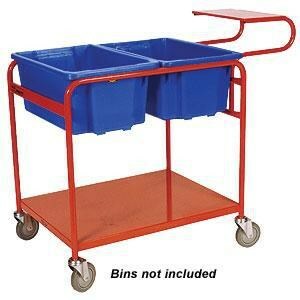 Twin Bin Order Picking Trolley - allows two tubs to sit side by side on the upper level leaving an open large lower deck shelf (830 x 625mm) for other items. Options Include Standard, Handle, Console or Writing Top. 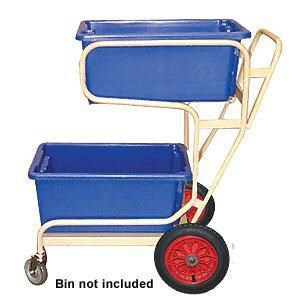 Buggy Order Picking Trolley - fitted with 2 large diameter pneumatics wheels and swivel castors allows you to take your Binmate across grass, asphalt and other uneven surfaces. 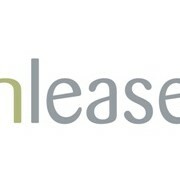 Options Include Handle or Offset with handle. 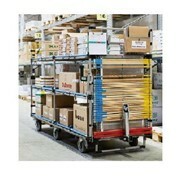 BinMate order picking trolleys turn your plastic stack and nest tubs into efficient work tools. 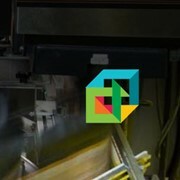 Suit warehouses, factories, offices and process areas. 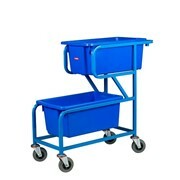 Options include Single Bin, Two Tier Bin and Twin Bin configurations. Additionally you can choose to have No Handle, Push Handle, Writing Top with Pencil Trough or Writing Top with Plastic Bin Console. 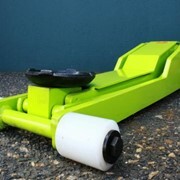 125mm diameter Grey Rubber castors. 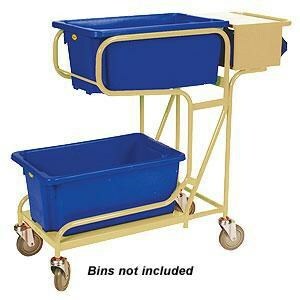 Order Picking or bin holding trolleys also includes the Binmate Buggy. Inspired by the popular Binmate range, inherits renown features such as smooth and easy manoeuvrability and quality construction. 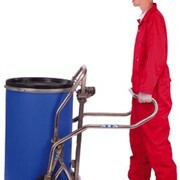 It not only transports from room to room internally but the large diameter pneumatic wheels and push handle means that you can now take your Binmate across grass, asphalt and other uneven surfaces.